Was traveling and had an issue... called in and explained my issue with the vehicle and the fact I flew in to pick up the truck and really wanted to leave the next day. Graham (sp?) made space for me and Connor came out immediately to have a look. I was unclear about the issues so I came back in and Connor showed me in detail the issue and answered all my questions. They got the job done, even picked me up from my hotel, and I was able to drive back to Calgary the next day. I am an owner of a repair facility in Calgary and I would be proud to have these guys working for me. Great job and thank you to everyone I met it was sincerely appreciated!! Superlative! staff went way beyond what id ever expect of a shop. I recently relocated to Langley and he problem with my car had been fixed twice by a mechanic out of town. Graham worked with my former mechanic to determine why the problem kept occurring and find a way to get costs of the faulty part covered. I had access to a courtesy car while mine was being repaired. on collecting my car, I learned the Hudson mechanic sent the new part back until he obtained one that was perfect to ensure the problem never occurred again. Im unemployed and they did their utmost to keep costs to a minimum. Theyre the best! I have been a customer of Hudson Automotive now for 24 years. It should come as no surprise to anyone then that I am a big fan of Russell Hudsons business and his staff. Back in 1992 when I first brought my vehicle ,I asked myself the question," what am I looking for" that I havent found in a vehicle repair service. Honesty, competency, and service. These are the hallmarks of Russell Hudsons business. Russells staff also reflect the qualities that I mentioned above. 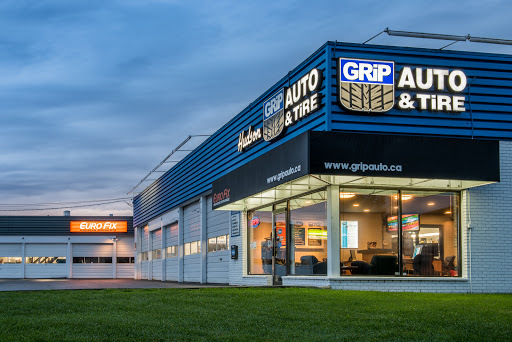 For me this has always been a "no brainer"
Im fairly new to the area and I always get nervous when I try a automotive repair place for the first time, but this place is great. I make an appointment on line and the guy at the desk was so helpful. When I went back to pick it up they were running a bit behind but thats cool and again they were really great. Everything was done to perfection and I was really happy with both the service and the price. I would strongly recommend Hudson to anyone who wants a great "honest" place for your auto needs. Took my car in to Hudson with a couple of annoying but intermittent issues. Darcy was very thorough with his explanation of the possible causes of the problems and the best course of action to troubleshoot them without incurring too great a cost. Because of the intermittent nature of the problems, I may not know for a while whether they have been resolved but thanks to the help and professionalism of the staff I wouldnt hesitate to return to Hudson for this or any other car issues. Hudson Auto did a really fantastic job on my car. They were fast and very attentive explaining the things my car needed. In an otherwise stressful situation, this was a great experience. Highly professional and courteous. Will definitely be using Hudson for all my future needs and recommend to anyone needing repairs big or small. Brought my car in for a new wheel bearing and O2 sensor. Absolutely fantastic service and only took them a few hours. Price was even a bit cheaper than I expected. When I got back to my car I was surprised to find they washed, vacuumed, and dusted it! Its a great team there. Fantastic Service-Highly recommended, I dealt with Hudsons Auto when I lived in BC two years ago. I have recently moved back to BC and they have not changed, same great service and friendly people, great job on my car. Im a customer for life! Thank You Hudsons Auto. Great service and fair prices! I went to Canadian Tire and they quoted me $1200 + tax for the work on my truck. I went to Hudson and I paid $700 all in with better parts. Will use them again moving forward. I have been a customer of Hudson Auto for many years for one main reason - I trust that the advice they are giving me is the truth. The repairs are always done right the first time and they dont cut corners. Excellent services! They fixed my AirCare problems and even drove my car to the test centre to rest! As added value, they signed me up for 1 year road side assistance for free. Highly recommended! The guys are always friendly, and explain things so I understand whats going on. They dont make me get services done if they arent required, and respect when I need to stick to a budget. Hudson is a rad place. There has always been a friendly and welcoming vibe in the front every time Ive come in. The staff is fantastic and even Russ knows a thing or two! Hudsons staff were very professional. Good value for what was done. Knowledgeable staff. Felt confident in their workmanship. Will continue to give them my business. Had brakes done and quality of work was superior as well as customer service. Pricing was comparable to other locations.